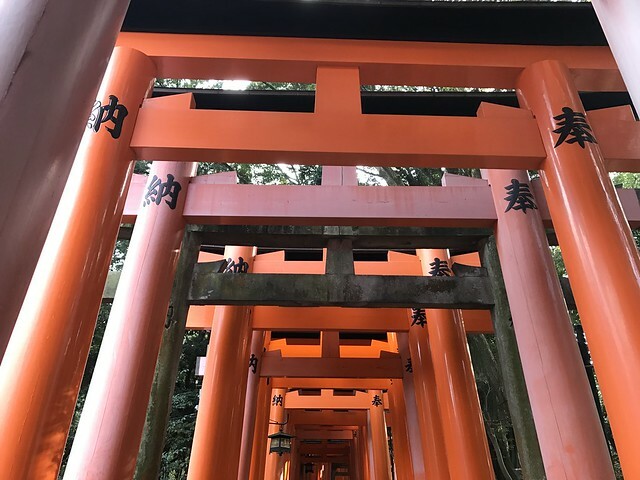 Fushimi Inari-Taisha is a beautiful temple at the base of Mount Inari famous for its 10,000 bright vermillion torii gates bordering a trail to the summit. 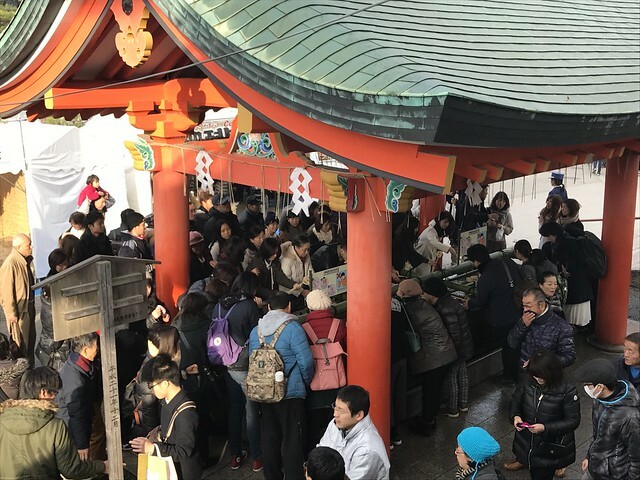 When we visited for the first time at noon, there was a sea of tourists. No sane person could enjoy such an excursion so we thought to ourselves: we will come back when it’s quieter. 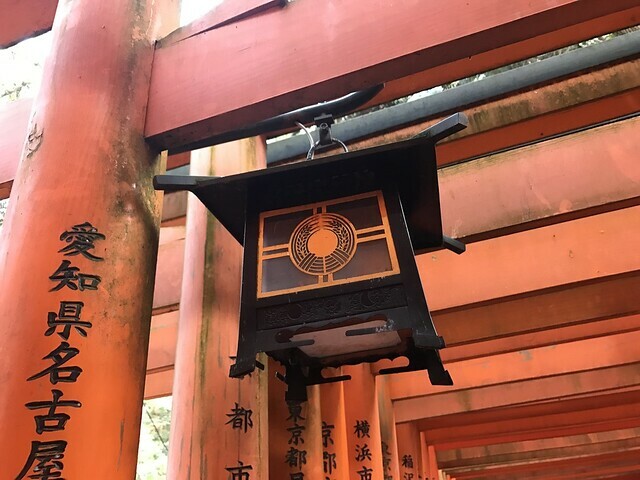 One question arose that we in our limited wisdom couldn’t solve: what’s the best time to visit? 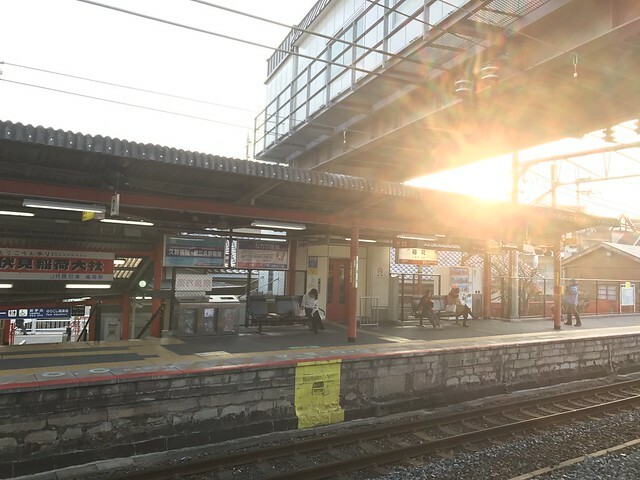 We returned to the train station dejected…but fate was on our side and gave us a blessing in the form of two students from Tokyo who shared with us a little secret. There was magic to the mountain, they said, a dreamlike quality that would make us wonder whether the experience was real. 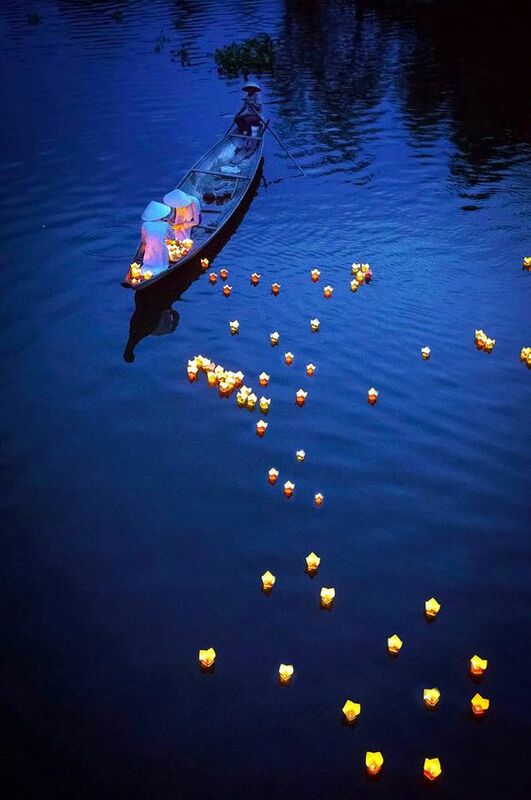 Intrigued by such a fantastic story, we ignored the doubt in our hearts and followed their advice. We woke up. The streets of Kyoto were still, almost lifeless, but the train station was already busy. Like a scene from a movie, we ate onigiri as we waited for the train to arrive. We barely said a word on the way to Inari…we looked out of the windows, into the dark, where the city and the suburbs and the dark fields rushed past. We arrived at Inari. The station here was a small wooden building with only two platforms, surrounded by grass fields on all sides and no house within sight. As we entered the temple complex, we realized one major difference from our previous visit. 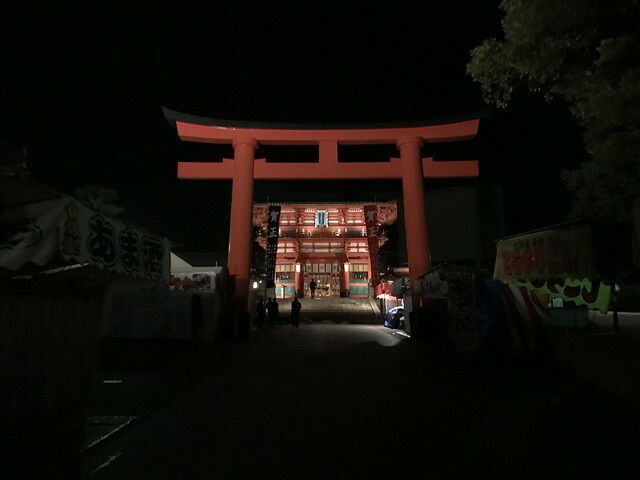 Where the street leading up to the main shrine were bursting with food vendors, the smell of fried fish and buttered roasted corn and the chatter of thousands of tourists, now it was dark and empty, the light of the shrine glowing like a beacon reeling us in. 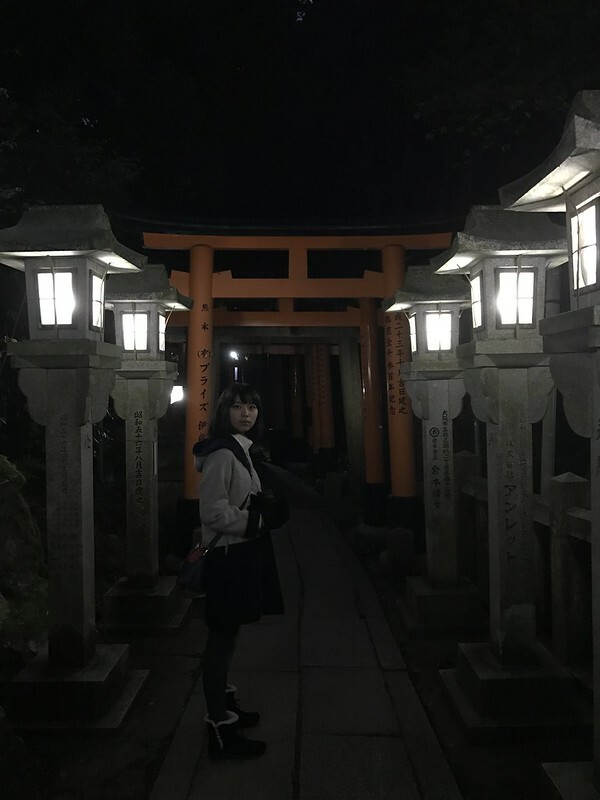 When we reached the main shrine, there were a group of men in suits, two young Japanese couple and one or two elderly people. Following their custom, we washed our hands and faces before entering. There was something about the dark and the silence that reminded us just how sacred the mountain was to the locals. 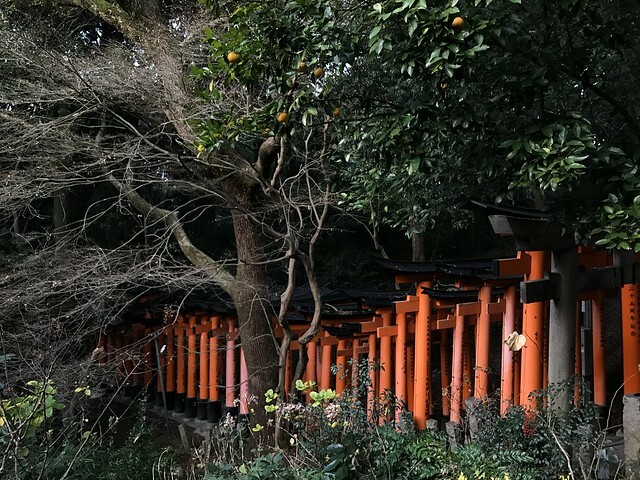 There was a security guard where the torii gates started, way before they climbed up the mountain and looped around the forest of the sacred Mount Inari. Knowing that we were foreigners, he explained to us the meaning of the gates. They were donated by families or businesses, whose name were inscribed at the back, along with the date of the donation. 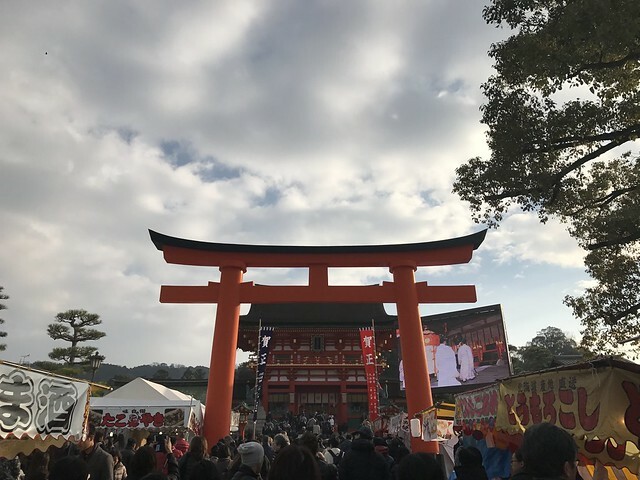 The cost for one torii gate starts at 400,000 yen (about USD 3,500), up to 1 million yen (around USD 9,000). 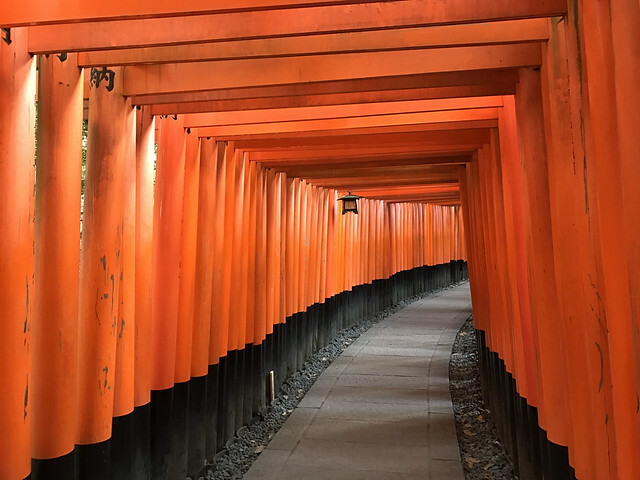 We thanked the guard and made our way to the Senbon Torii: two dense rows of gates that mirrored each other. Such symmetry and bright vermillion paint took our breaths away. 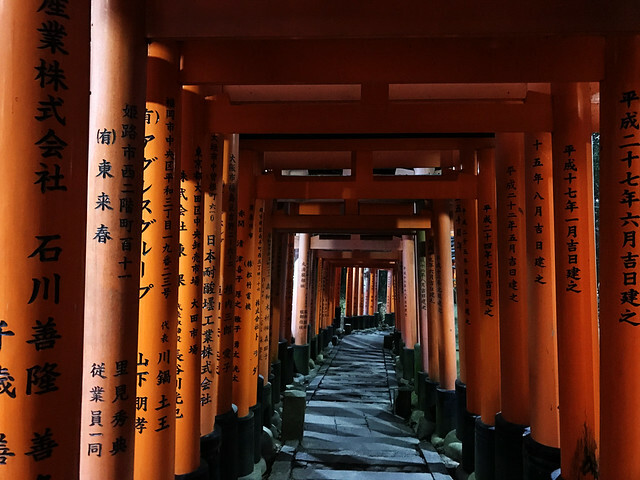 When we consider how the temple predated feudal Japan, with its construction starting at around the year 700, we have to wonder what discipline and streak of creativity could produce such an amazing structure. Here are some other things to consider…the trail loops around a mountain. It still stands in great condition after more than 1,000 years. It co-exists with the forest and wildlife in the mountain. For us, it was a little like a miracle. 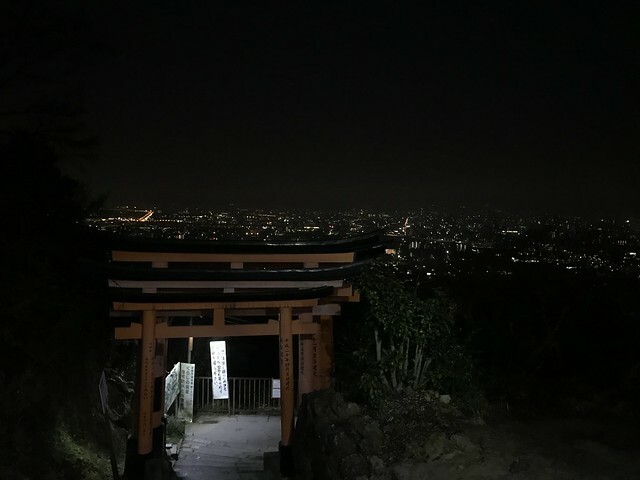 We reached the Yotsutsuji Intersection, a relatively flat level halfway up the mountain, with what the Tokyo students and security guard described as the best view of Kyoto. They weren’t exaggerating. The stars twinkled bright above the wakening city, peeking behind the mountains that surrounded Kyoto. 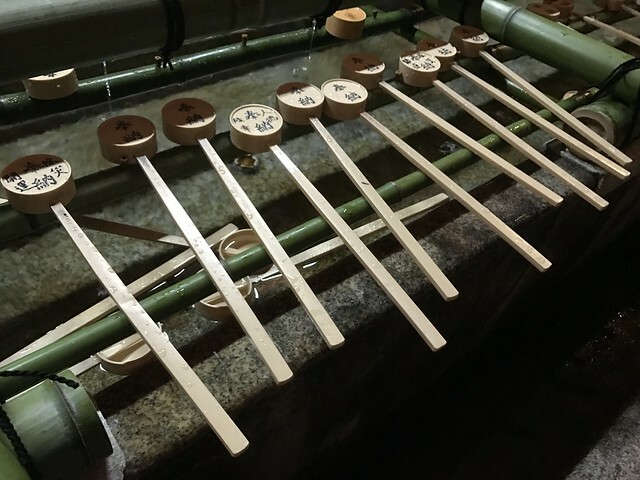 We sat there to catch our breath and buy a bottle of warm tea from a nearby vending machine (there are vending machines and refreshment areas even at the summit, but no toilets or trash cans…it is, after all, a scared place). It was here that we made acquaintance with three wild cats, one of which followed us until the sun rose. We saw what looked like a fox dart past us and a sign that warned us of wild boars. 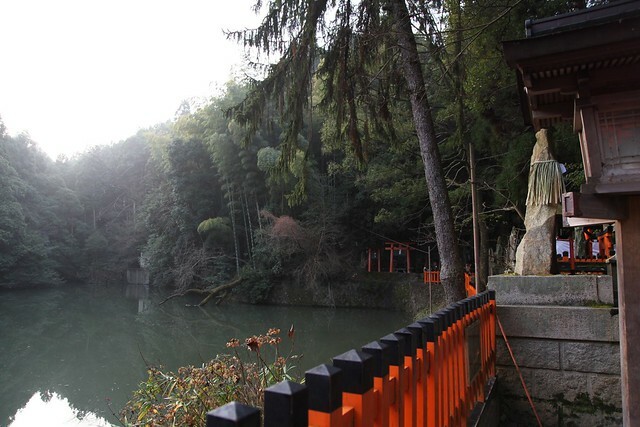 We reached the summit of Mount Inari, just as the sun rose. 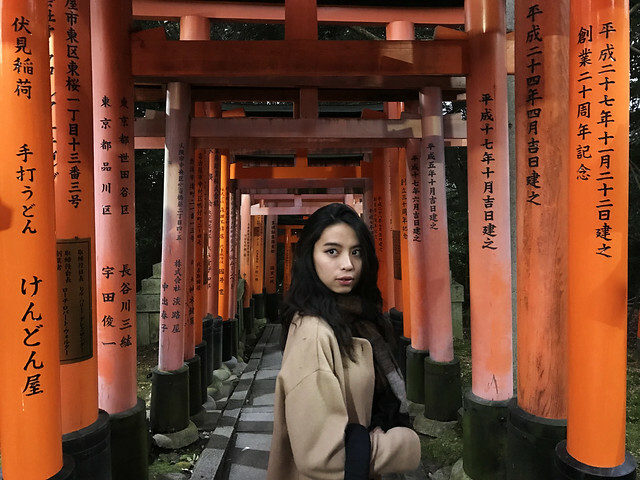 Japan calls itself 日本 (nihon), which translates to “the Sunrise Land.” On top of that mountain, we can imagine what went on in the heads of the people who came up with the name. There are no words to explain how enchanting it was to stand under the vivid red gates, with the rapidly lightening forest all around us (and, behind the groundcover, a glimpse of the city below). It was a whole new world up there. We climbed down the mountain and took a lot of pictures. Tourists and visitors started trickling in and we passed them in quiet delight, knowing that we had beaten the crowd and experienced the mountain in all its mysteries. We reached the hotel and took a short nap. When we woke up, our experience hiking up a mountain in the dark was like a dream. We retrieved our camera and, hearts pounding, went to the gallery. The last picture was of a row of torii gates on our way down from the mountain. Good. We weren’t dreaming, after all. As we went over each picture we took, the doubt gradually disappeared and we could say with certainty: as fantastic and surreal the adventure was, it did happen…and how blessed we were to experience it! 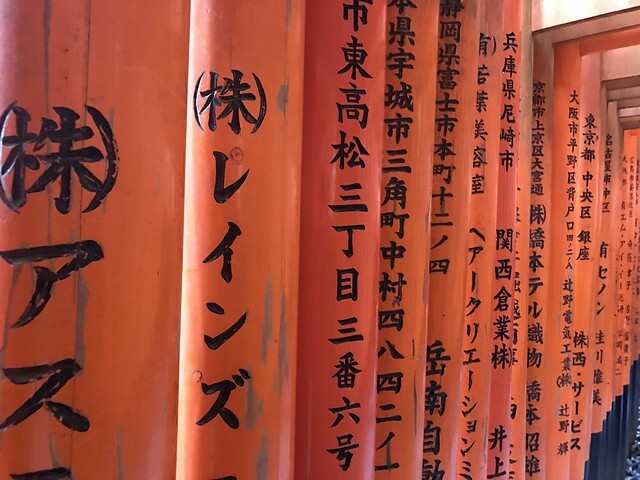 This entry was posted in Nature, People and Culture, Tourist Traps and tagged fushimi inari taisho, get around tourists, mount inari at dawn, mypassengerdiaries, non mainstream travel, on budget travel, personal experience, photography, review, student travel, tourism, travel like a local, what's the best time to visit inari. Bookmark the permalink. Next time I will try this! You’ll definitely have a great experience!